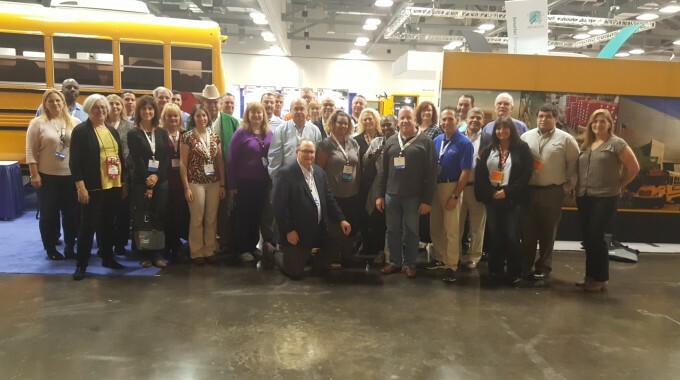 Roger Harrod, who has been Matthews Buses’ Trainer for almost twelve years, was honored by Thomas Built Buses with its Northeast Regional Trainer of the Year Award at a ceremony held at AT&T Stadium in Dallas, TX during the annual Thomas Dealer Meeting. 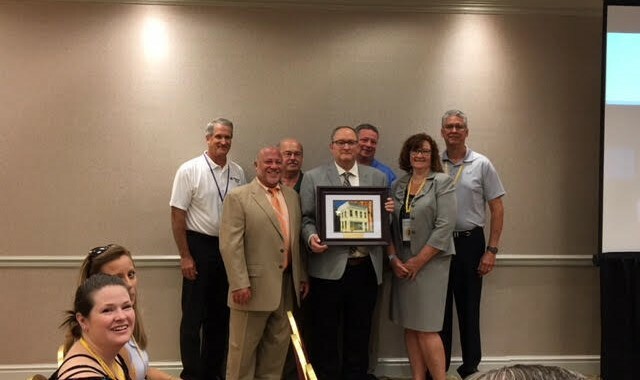 Roger was recognized for his tireless efforts in providing quality training for both Matthews Buses’ technician staff and the pros at each school district who keep the safest school buses in the country on the road each day. 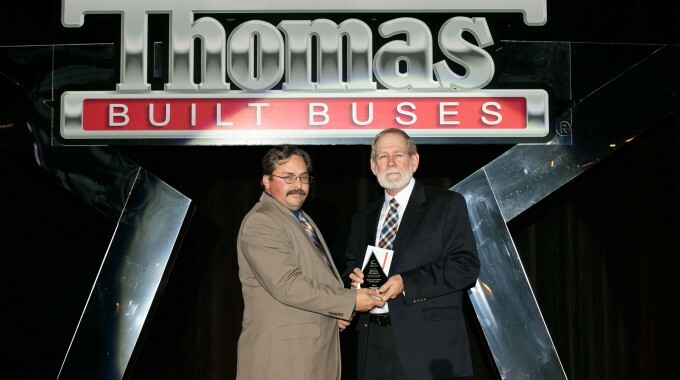 Thomas Built Buses awards the trainer at each of its nearly fifty dealerships in the U.S. and Canada points based on the content and format of the training. 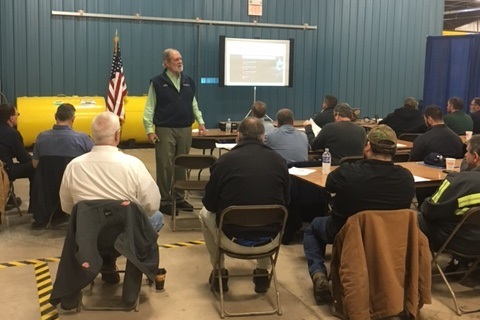 In 2016, Roger conducted more than 80 classes throughout New York State, garnering 3215 points in the Thomas scoring system.